This winter hasn’t been a particularly pleasant one, as far as the weather is concerned. We didn’t get a white Christmas; instead we got an incredibly mild December and a succession of extreme weather events each of which has inflicted considerable damage upon property. Storm Henry, which struck at the beginning of the month, is just the latest in a series of weather events that have battered the country’s west coast in recent weeks. These extreme weather conditions have made life especially tough for homeowners in North Wales – who’ve had to repair considerable damage to property, and so have provided North Wales fencing supplies purveyors with a miniature glut in production. But it’s not just wind damage that homeowners have had to contend with. It’s inevitable that the chill will inflict considerable damage upon water pipes across the country. In this article, we’ll take a look at what might be done about it. If you’re suffering from a frozen water pipe, then it’s vital that you solve the problem as soon as you can. 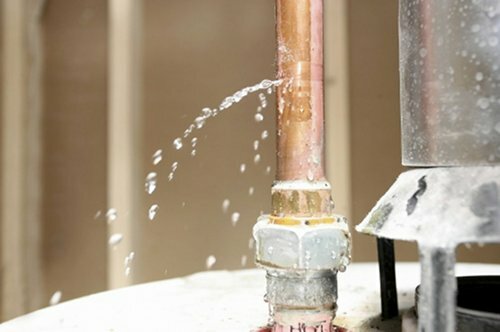 If you allow the water to remain frozen in the pipe, then the expansion might place severe stress on it – and it might even cause it to burst, causing the water to leak. First, however, you’ll need to diagnose the problem. There could be a few different reasons for an interruption of your water service – after all, the water that comes out of your taps will need to travel through a few different pipes before it does so. You can deduce the likely cause of the problem by asking your neighbor’s whether their taps are producing water properly. If you’re the only one with a problem, then it’s likely that a blocked pipe on your property is the cause. Having established that your pipes are blocked, you’ll need to establish exactly where the blockage is. You can do this by manually feeling the pipe. When you find a section that’s obviously freezing, you’ll likely have found your blockage. You might find it useful to compare the temperature to that of a pipe through which you know water is flowing properly. Once you’ve identified the blockage’s location, it’s wise to take a few precautions before taking further action. If you thaw the pipe, even under controlled conditions, then there’s still a danger that it’ll burst. If this happens, you’ll want to avoid having nearby valuables soaked – so be sure to remove them to a safe distance. Having cleared a space, you’ll want to then turn off your houses’ main stop tap. You’ll likely find this beneath the sink, or where the pipe enters the building. If you’re lucky enough to have a cold water tap, turn off the stopcock. Your next stop is to turn on the tap nearest to the blockage. This will provide the troublesome block of ice with a means of moving away. Now you can begin defrosting. The best way of doing this is with a gentle source of heat, such as that provided by a hairdryer, or by a hot-water bottle. Suffice to say, extreme sources of heat, like blowtorches, soldering irons and heat guns, should be avoided, as they can cause the very damage you’re trying to prevent. All being well, the water should begin to flow quite soon after you’ve begun. Just turn your stop tap back on, and enjoy your flowing water. It might, however, be that your pipe has burst. You shouldn’t regard this as a failure – sometimes it’s inevitable. But you should get a plumber out at the earliest possible opportunity. Fortunately, you’re never far from a plumber merchant in North Wales. Naturally, you’ll save yourself a great deal of trouble if, instead of trying to address the problem after it’s occurred, you try to prevent it from occurring. You can do this by shielding your pipes against cold. You can get pipe lagging from all good DIY stores, which will help to prevent cold from spreading inside the pipe. Many modern boilers have thermostats fitted, designed to measure the temperature and activate automatically when it drops below freezing. Since pipes trapped in your loft and in cupboards are especially vulnerable to freezing, you might want to give them a chance to warm up, especially on cold days. Open your loft trapdoor and any cupboards with pipes inside. Finally, you might want to leave your heating on a regular, timed, low setting when you’re leaving the house for long periods of time – this will prevent freezes from occurring.